We can come to believe we have bipolar disorder by going down a check-list and finding we match just about all the symptoms. If you are living a busy stressful life and unable to relax you will most likely get a high score on both bipolar and adrenal fatigue check-lists. 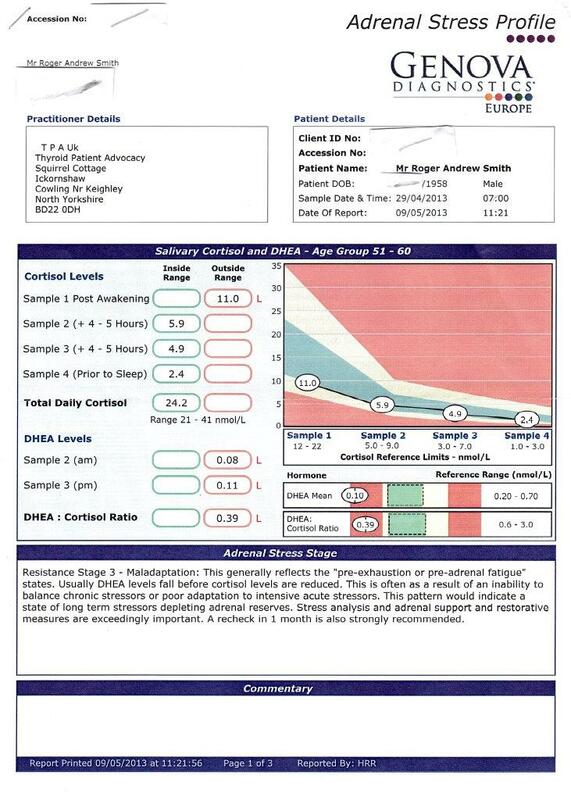 My scores indicated severe Adrenal Fatigue, which makes sense considering what I been through and my lifestyle. However, are quizzes like these truly diagnostic? They do not tell us much about the causes. Our responses are based on our own feelings and not precise measurements. With bipolar this is all we have. It is not possible to scientifically diagnose anyone with bipolar as there are no blood tests, brain scans or anything like that for bipolar. There cannot be as bipolar is simply a word used for anyone who has extreme struggles with their moods, regardless of why they are struggling. Adrenal Fatigue differs from bipolar: Accurate laboratory based tests for adrenal function/dysfunction have been available for decades. Adrenal Fatigue Saliva Test: The adrenal glands produce hormones including cortisol and DHEA. These small molecules travel to all parts of your body including the saliva glands. The test involves spitting in a sample tube for laboratory for analysis. This is better than blood tests as it is less stressful and allows for several samples in one day. It is how the cortisol and DHEA vary during the day that allows the precise measure of your adrenal function. One day of testing will confirm your level of adrenal fatigue. Results are provided as a graph, showing changes throughout the day. Cortisol is naturally high in the morning and decreases towards bedtime. If it does not start high enough or drops too rapidly you have most likely got a problem. DHEA is so central to hormone production that a good level of this is needed at all times. Low results indicate lifestyle changes (perhaps better diet and more rest) are needed. This test may be better described as a test for Adrenal Dysfunction as the test tells us about how our adrenal glands are performing rather than being directly related to how fatigued you are feeling. Adrenal dysfunction means your energy levels stop matching what you need and when you need it. Dysfunction eventually leads to fatigue. Nobody, not even you can prove you have a disorder called bipolar. Doctors can measure and say for certain how your adrenal glands are performing and if under-performance is affecting your mood.